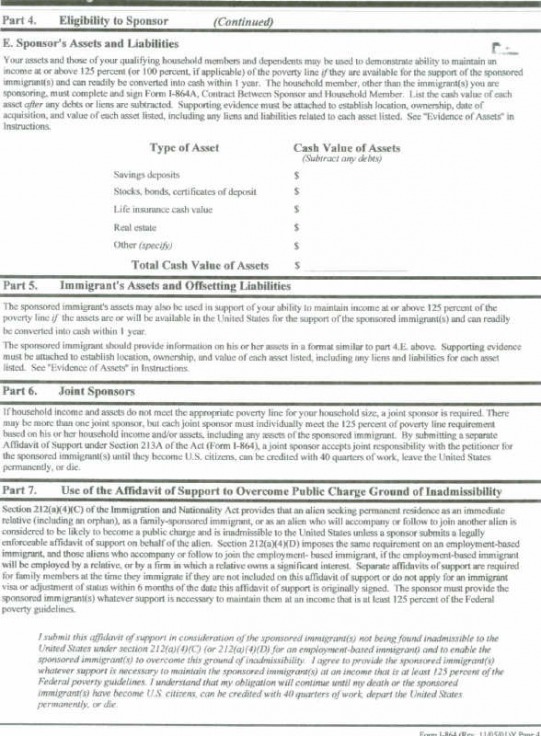 An affidavit of support is a document issued that certifies that an individual takes all financial responsibility for another person, usually a relative, who will migrate to a foreign country. 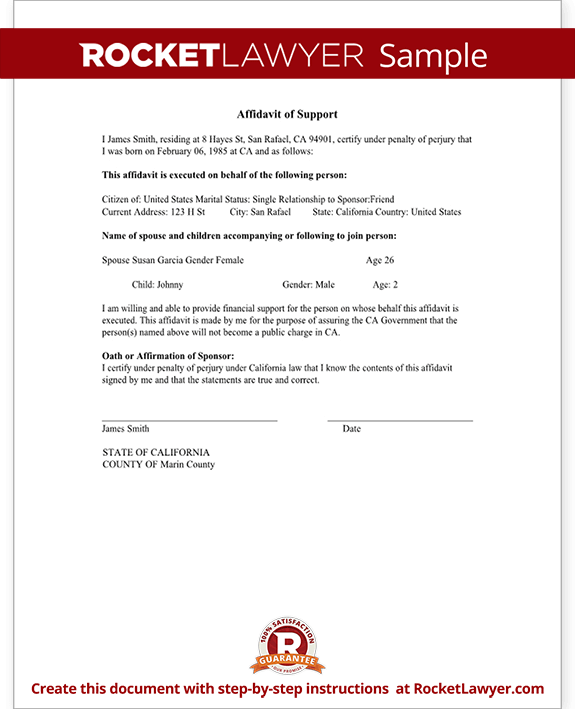 The person who signs the affidavit of support will be considered by law as the supporting guardian or the sponsor of the individual. You may also see affidavit of correction examples. Once an affidavit of support is signed, it will be considered enforceable, and the sponsor of the immigrant will play his role either until the individual becomes a legal immigrant himself, or after 10 years, depending on the case. 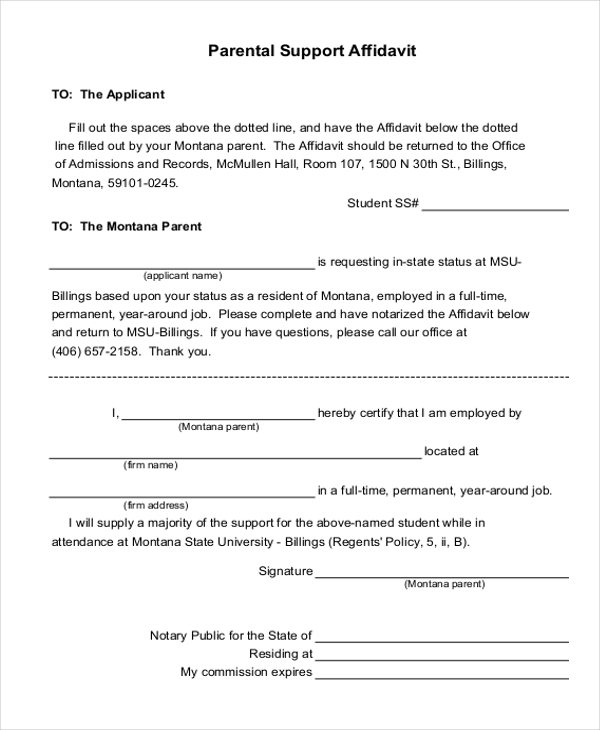 You may also like affidavit of birth examples. 6. Employment-based reference of immigrants who have a relative who is a citizen or a permanent resident of the said country. You may also check out affidavit of death examples. A person who files the immigration visa petition for another individual, as aforementioned, will be recognized as the sponsor. However, he must be 18 years old or more, and a citizen or a permanent resident of the country. If he lives abroad, on the other hand, he must prove that his residence in that country is temporary, and that his true home is in the one where the dependent will be migrating to. You may also see affidavit of marriage examples. 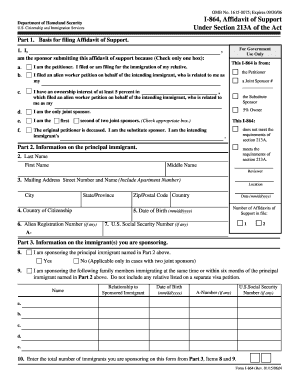 This form is also useful for family-based immigrants or employment-based immigrants since this affidavit can be used as a proof of their financial capability, and that they will not be completely reliant on the country’s government for monetary support. You may also like legal document examples. The legal bond created between a sponsor and an immigrant is stronger than most people care to know. Law even dictates for the responsibilities of a sponsor to last even through divorce and bankruptcy, which means that he will still be legally obligated to care for the immigrant until the latter becomes capable of surviving by himself. 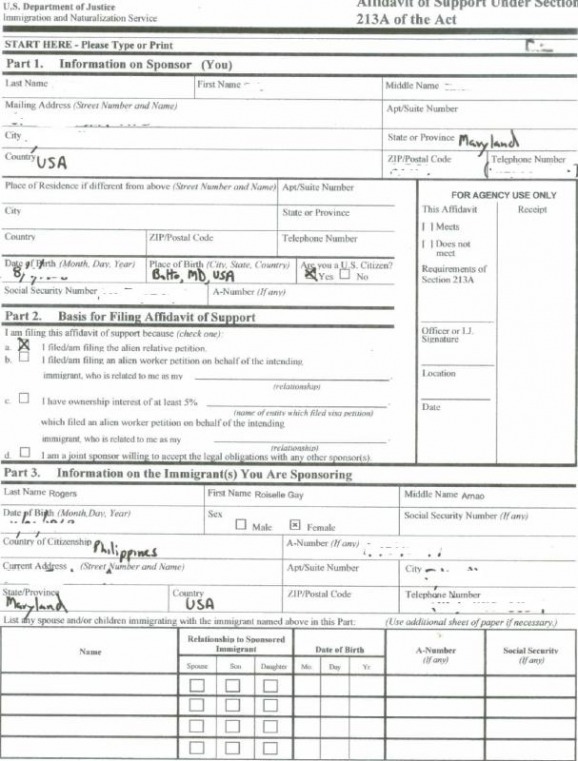 You may also check out affidavit of heirship form examples. 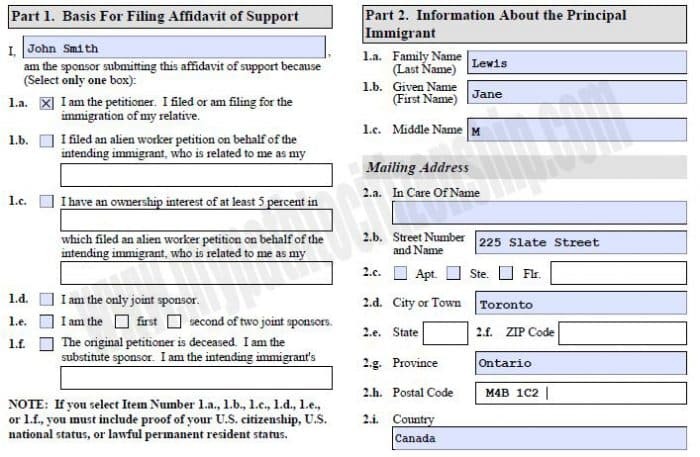 Ideally, the sponsor of the immigrant will be the one who will file the form. If he happens to be under guardianship, the guardian of the sponsor’s financial estate will be the one to do the job. 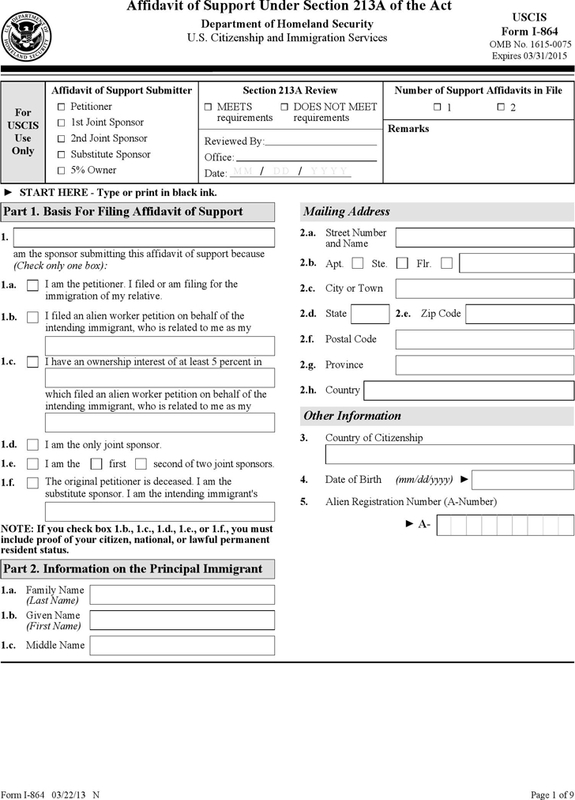 By filing the form himself, he is attesting to his ability and willingness to support the immigrant’s change of status. You may also see affidavit of domicile examples. In cases where the sponsor can no longer sign the form after he has filed it due to physical inability, a substitute may do it for him given that he is willing to take on the responsibility that the sponsor has agreed to. If the substitute cannot meet the financial requirements of being an immigrant’s sponsor, he can seek the help of a joint sponsor. You may also like statement analysis examples. Is Having a Joint Sponsor an Option? You may also file for a joint sponsor where another individual is willing to share the responsibility of being the supporter along with you. He will also have to meet the same requirements, except that the joint sponsor doesn’t necessarily have to be related to the immigrant. Also, there is a required 125% annual income requirement that both of you have to pass, and this doesn’t mean that you will combine both of your earnings. You both need to pass the 125% requirement separately. You may also see statement of work examples. What If the Petitioner Has Died? You may also like management statement examples. As mentioned above, there is a 125% annual income requirement that a petitioner must pass to be allowed the responsibility of caring for an immigrant. This is also in relation to your household size which usually includes you, your spouse, your children, your relatives living with you, and any other dependents. You may also see need statement examples. 1. You may add the cash value of any of your assets which may include your savings account, your stocks, and any valuable property. Once you determine the value of your assets, subtract the 125% income requirement with your annual earnings. You may also like personal statement examples. The total value of your assets should be five times the difference. Unless you are sponsoring your spouse or your child, the minimum value of the assets must be three times the difference between your income and the 125% requirement. You may also check out teaching statement examples. For adoptive parents, on the other hand, who will be taking in a child into their custody will only need to have assets that will add to their existing annual income to result in 125% or more. 2. You may also count the income of any of the members in your household who are related to you by birth, marriage, or adoption. But, to do this, you must list them as your dependents on your most recent tax return, or they must have lived with you for during the last six months. They must also sign a form that will grant you the legal right to add their income with yours. You might be interested in artist statement examples. 3. You may also count the income of the assets of the relative that you are sponsoring. Put all of the pages in correct order and staple them together neatly. Make sure that each page has been filled out completely. Be careful about using only black ink. Make sure that the forms are signed. Make sure that you have only mentioned the principal immigrant. 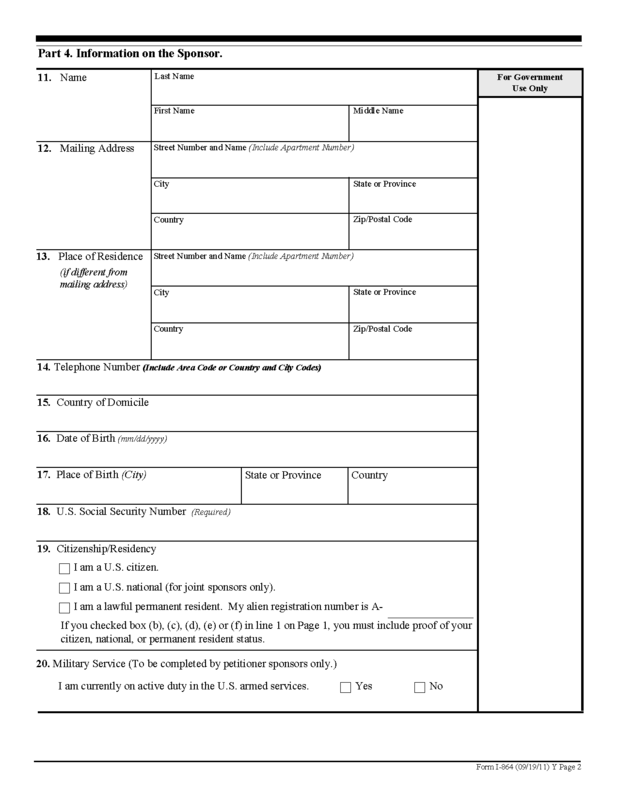 Fill out the form in your computer using capital letters and print it out. Attach another one of two sheets of paper if necessary. Don’t forget to write your name, your Social Security number, and your form sheet number on the top right corner of the page. Before you send out your form, print out two copies and release the second one to the benefactor. Follow other specific instructions given to you. Being the sponsor of a person who wants to start a new life or a new career in a foreign country is a serious commitment. Aside from the financial capability, the sponsor must also have the full desire to be the benefactor, irregardless of any unfortunate case that may befall their family in the future. You may also see vision statement examples. 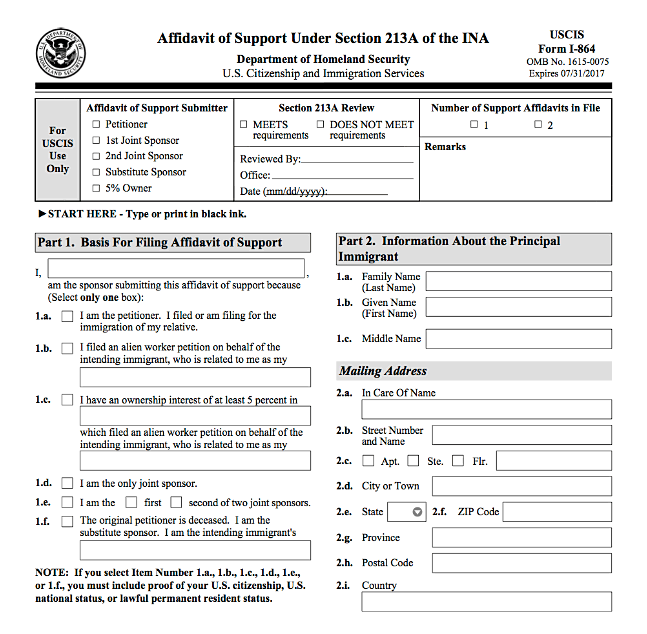 By filling out an affidavit of support, a sponsor is promising that the immigrant will not be a burden to the government because the sponsor will shoulder the weight himself.